French translation from TeamNova. All hail TeamNova! Links as attachments in card viewer now have a draggable link. Added an exit button to the settings screen so users without tray (e.g. GNOME users) can close Cosmic Everyday. Label editor. You can find it inside settings of your notebooks. 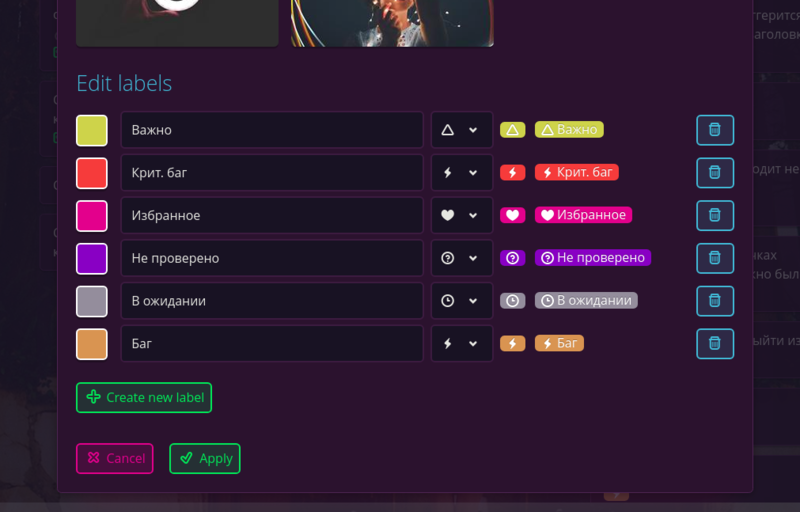 Add new labels, using a variety of icons and colors, edit or remove others. Naughty errors on first launch and last notebook deletion were eliminated. setup.sh for linux now works. Time-tracker: 'My Day' view on the time-tracking panel now works. Homepage: Editing 'Quick Tasks' widget's title now saves it without adding tasks too. You might get false update notifications. Did that discord server ever happen, if so how do I find it? Hey guys 'n gals, what do you think about creating a Discord server for CE?